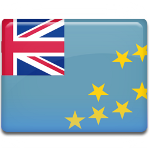 Many countries within the Commonwealth, as well as Tuvalu, celebrate official birthday of the reigning Queen. The date of celebration of Queen's Birthday falls on the second Saturday in July, that doesn't correspond to her official birthday. However, there is another public holiday in Tuvalu, that celebrates birthday of the heir to the throne, that is birthday of Charles, Prince of Wales. And the date of its celebration almost corresponds to his official birthday. Charles, Prince of Wales was born on November 14, 1948, but the government of Tuvalu decided to organize celebrations on the Monday closest to his birthday. This provides people with a long weekend.